SAN JUAN ROTARY'S HURRICANE RELIEF FUND presented Pisadas de Amor with an $11,000 check. Located in Manatí, Pisadas is a non-profit organization that has been helping the elderly for the past five years - focusing on creating safe and secure housing It is a VALOR authorized entity. 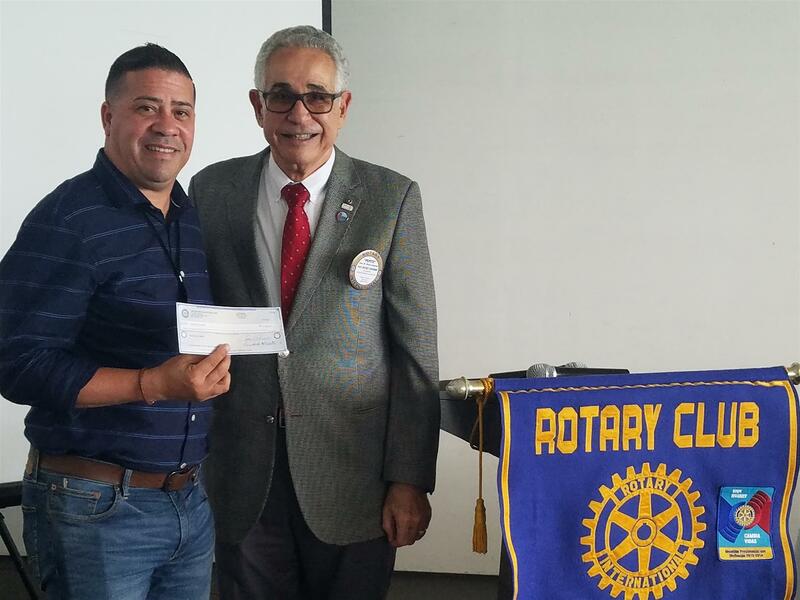 Pictured is President Pepito handing the check to Julio E. Soto, official representative of Pisadas de Amor.